The FSD ExtremeStar is a high agility model airplane with 16 independent control inputs, including actuated canards and thrust vector control. It is used as a testbed to investigate nonlinear and adaptive control approaches as well as control allocation algorithms. 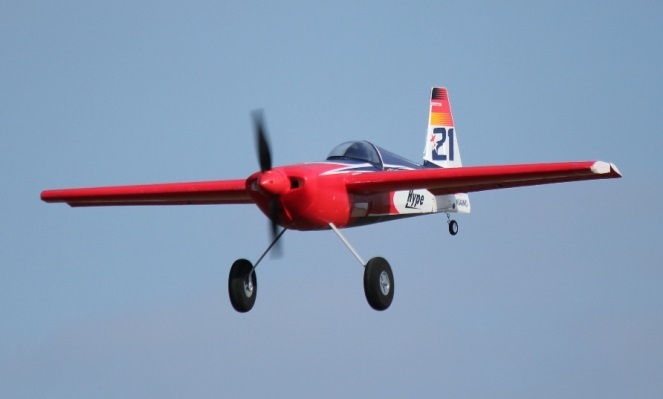 The Edge 540 is a commercial off-the-shelf aerobatic model airplane with a high thrust to weight ratio. 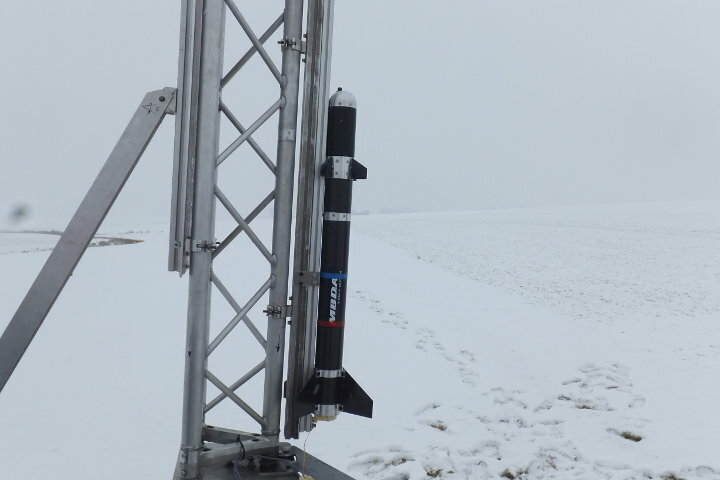 It is used for investigations on basic stability augmentation systems, student education and to carry sensor payloads. The FSD StudentSnail is a simple model airplane with 5 control inputs. 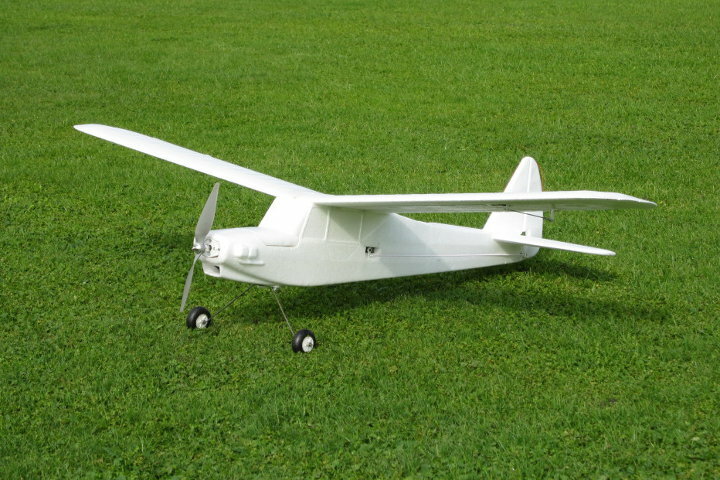 Due to the high-wing configuration and the large dihedral, it exhibits a distinct roll-yaw coupling. It is mainly used for student education. The AscTec Hummingbird is a small quadrotor UAV that is equipped with inertial sensors and a dedicated, real time linux based flight control computer. 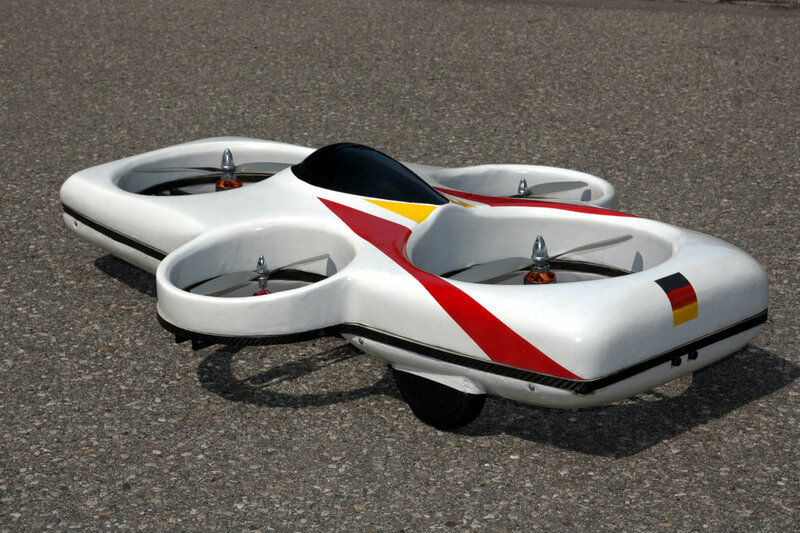 Its main purpose is research in dynamic outdoor flight with GNSS aided navigation. 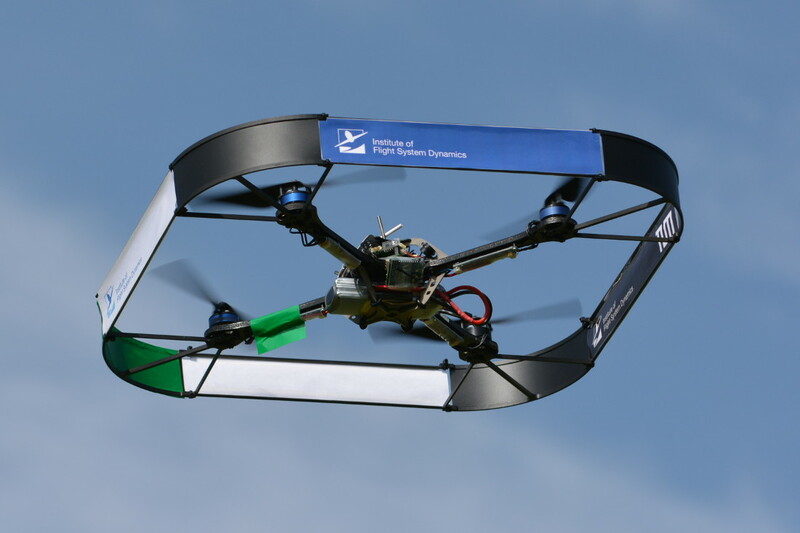 Additionally, it appears in live demonstrations during the lectures Flight Control 2 and Nonlinear Adaptive Flight Control. Our second AsTec Hummingbird features a protective frame and flexible propellers which makes it ideally suited for flight experiments in tight indoor areas. As part of our institute’s tour it is often shown in conjunction with a low-cost optical tracking system. 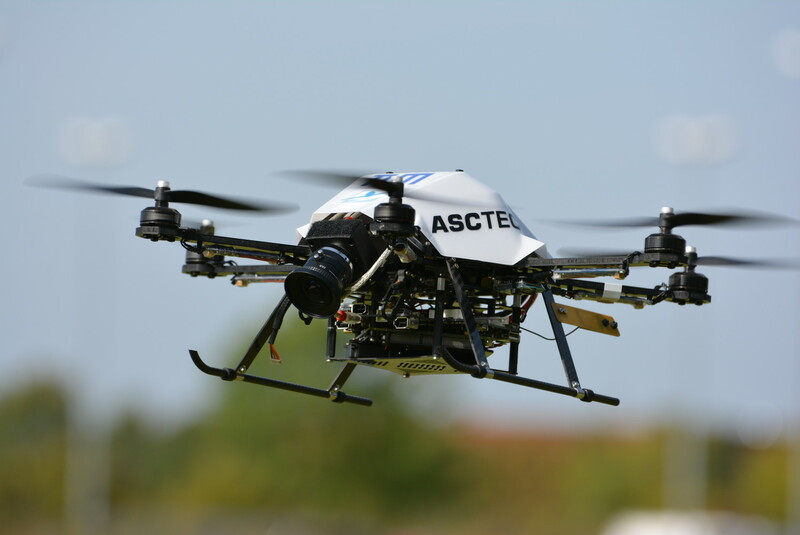 The AscTec Pelican is a quadrotor that carries cameras and an additional onboard computer for image processing. 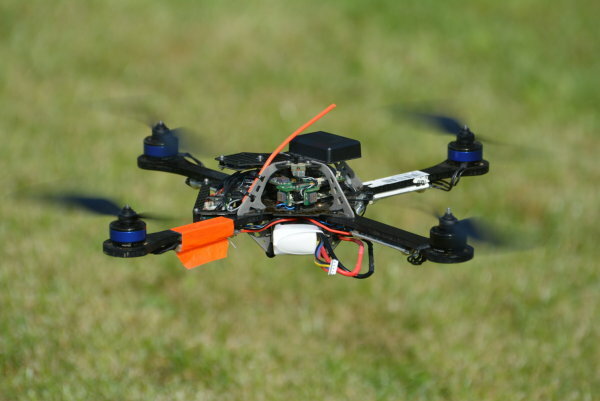 It is mainly used for image aided flight control. 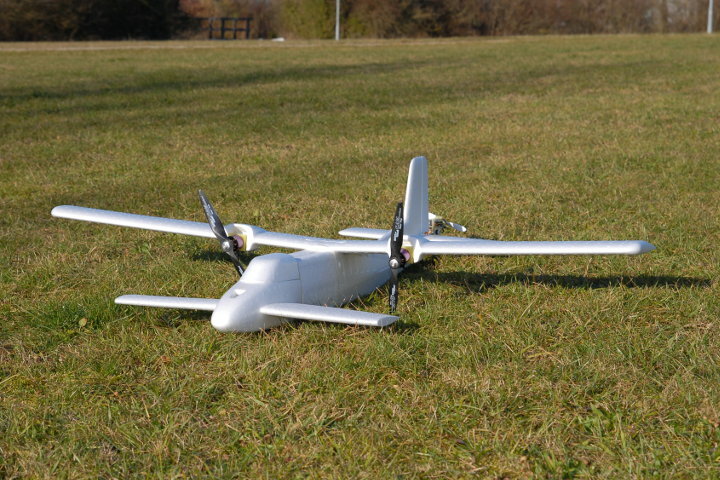 The AscTec Firefly with its redundant six-rotor propulsion system is used for fault tolerant flight control research and swarm exploration. It has an additional, powerful onboard computer for image processing and navigation. The xM1 is a canard-controlled experimental missile with fixed fins, solid booster propulsion and a two-staged parachute recovery system. 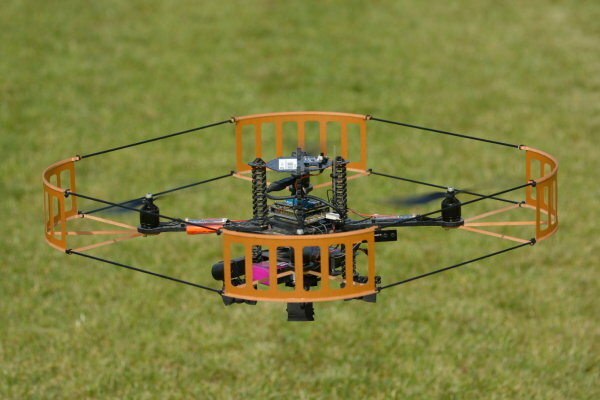 It is designed to perform subsonic test flights with advanced control algorithms as well as camera-aided navigation and target tracking. 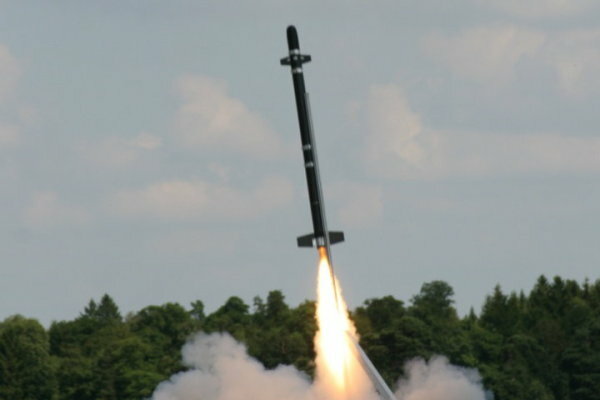 The xM2 is the second generation of re-usable canard-controlled experimental missiles at FSD. The improved system design uses a more robust single-staged recovery system and a modular propulsion compartment to fulfill the demands of different sensors and test scenario. At the same time, it reduces the missiles weight and size almost by half compared to xM1. This unconventional multirotor design is the object of a joint project with the Center for Unmanned System Studies (CentrUMS) at Institut Teknologi Bandung (ITB). It is used as a testbed for a new flight control system and for research on combined flight and ground control.